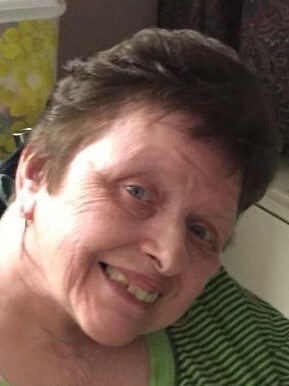 Kathleen Johnson, 72, passed away on Tuesday, March 19, 2019 at Arbor Glen Center, Cedar Grove, NJ. The funeral will be from the Thiele-Reid Family Funeral Home, 585 Belgrove Drive, Kearny, NJ on Saturday, March 23 at 9:00 a.m. A Funeral Mass will be celebrated at St. Cecilia Church, Kearny at 10:00 a.m. Interment will follow at Holy Cross Cemetery, North Arlington, NJ. Relatives and friends are invited to visit at the funeral home on Friday, March 22 from 7 to 9 p.m. Condolences and memories may be shared at thiele-reid.com. Miss Johnson was born in Kearny and lived there for many years. She is survived by four nieces, one nephew and one grand niece and one grand nephew. Kathleen was predeceased by her parents, Walter and Mary (nee Moscinski) Johnson, one brother, Walter Johnson and one sister, Barbara Tonner. She will be remembered as a strong woman with a warm and kind heart with a terrific smile. In lieu of flowers the family suggests contributions to the Epilepsy Foundation at epilepsy.com.